When developing a plan, a logical place to start is to assess the existing conditions - what is in place now? 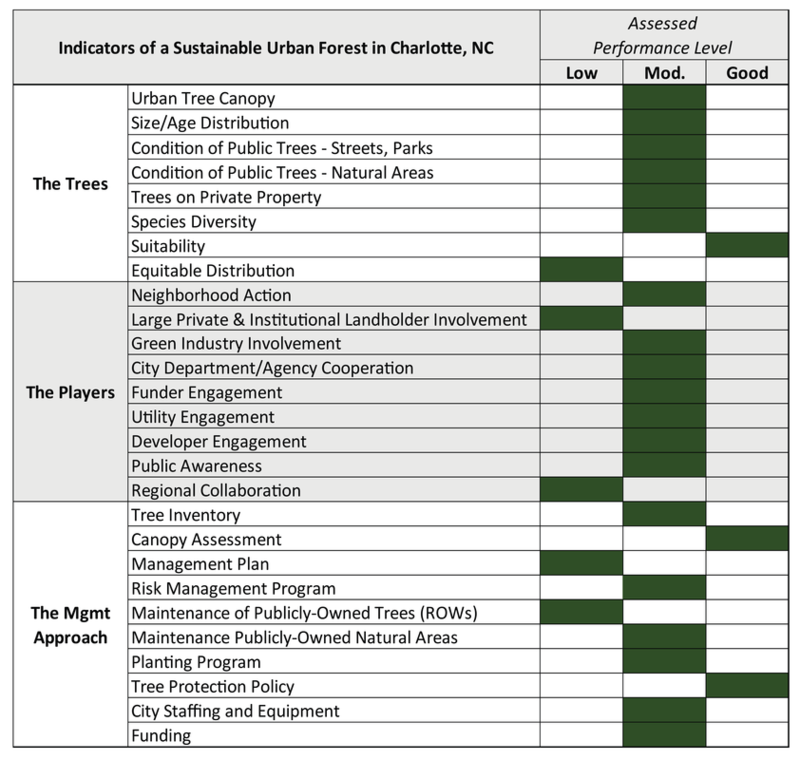 Charlotte's urban forest was assessed using 27 Indicators of a Sustainable Urban Forest, organized into three categories: the trees, the players, and the management approach. Performance in each indicator was rated using a scale based on an overall industry performance standard (taken in context with local issues). This system is based on the idea that assessing Charlotte's urban forest involves more than simply determining the extent of tree canopy cover. We must look beyond just the trees. 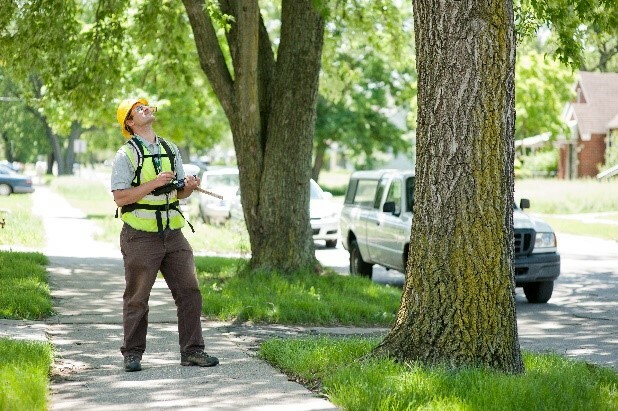 Who are the key players in urban forestry? How are trees currently being managed? Is Charlotte’s urban forest sustainable for the coming decades? Learn more about the assessment process. The summary table of assessment results in the table (below right) shows Charlotte's performance level in each indicator highlighted in green. ​Explore the assessment results in each category further below. ​Overall, Charlotte was assessed at the Moderate performance level in over two-thirds of the indicators used to assess an urban forest. Higher performance was noted in proper placement (site suitability) of trees and for the existence of canopy assessment data and tree protection policies. Low performance was noted in the lack of equal distribution of this city asset across neighborhoods in Charlotte, as well as the lack of involvement by key groups of players, and a formalized management plan and care system for public trees. Overall, Charlotte is doing well across many of the indicators. The challenges Charlotte face focus primarily on keeping canopy, as much of it is at risk. ​Read more about each category (below) to further explore the state of Charlotte's urban forest. Below is an overview of the assessment by each category, with links to more detailed findings. The Trees category includes indicators related to the status of the tree resource itself, including knowledge of that resource. Just over 47% of Charlotte is covered by tree canopy, which is a strong coverage compared to other cities. Significant data is available on the individual trees in Charlotte as well. Citywide numbers show positive trends that reflect implementation of best management practices. However, challenges emerge when analyzing these factors at the neighborhood level. Learn more about the assessment of Charlotte's existing trees. TreesCharlotte's Dave Cable plants trees with CMS kids. The Players category evaluates the necessary involvement and collaboration of stakeholders at all levels. 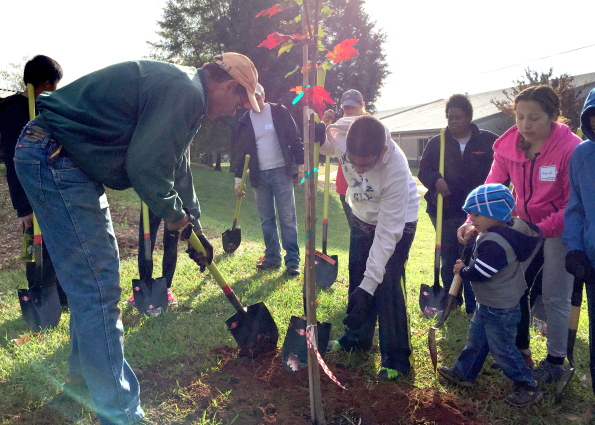 Many entities are aware and active in urban forestry projects in Charlotte, however most are acting individually without a unified goal or vision. Improvements are needed to unify the existing efforts, and to engage inactive stakeholders, especially neighborhood level groups, large landholders and regional entities. Learn more about the players (active and inactive) in Charlotte's urban forest.